2017 was a wonderful wear for us. We found and sold many incredible pieces of modern design and we welcomed Ellie Joy into our family! Here is a look back at our favorite pieces from the year that was. One of the rarer pieces we found was this oak & teak lounge chair by Tove & Edvard Kindt-Larsen. 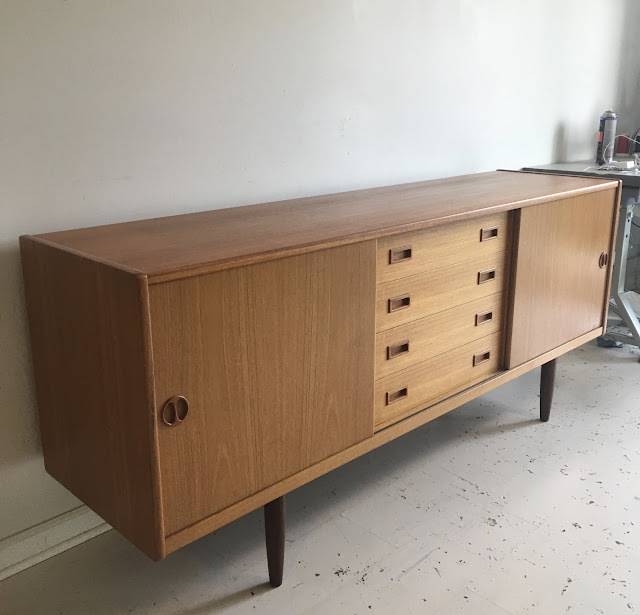 Swedish walnut credenza by Folke Ohlsson for Dux. We found several Milo Baughman recliners this year. 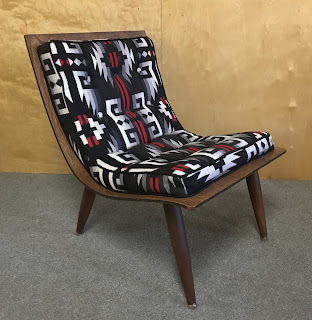 The restoration on this chair went especially well. A big find in April was this set of 20 Thonet bentwood dining chairs. They were tedious to refinish but we restored them all and they sold quickly. 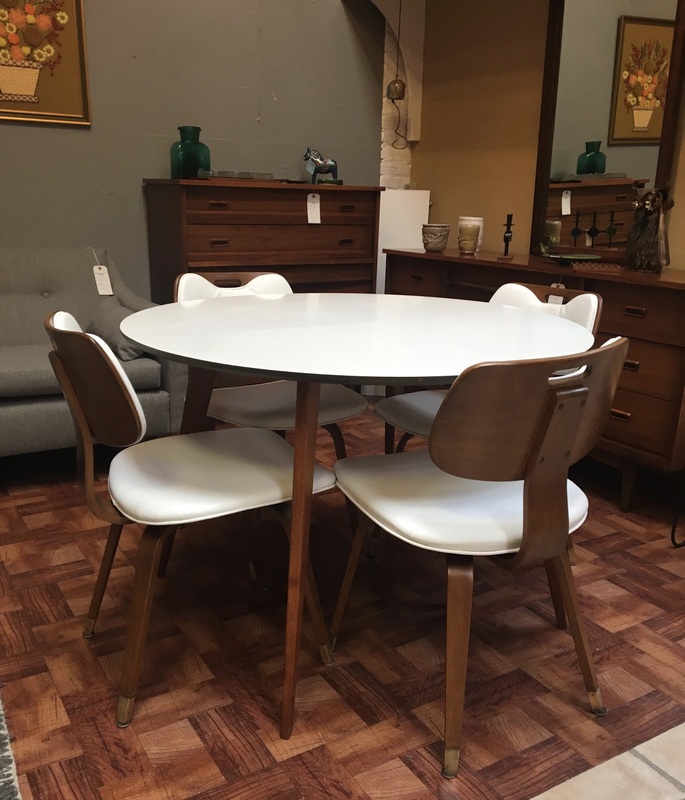 Here is a set of 4 that we matched to a teak & formica dining table. 2017 was another year of finding several gondola sofas. We were equally fortunate to find teal fabric to upholster this one in. 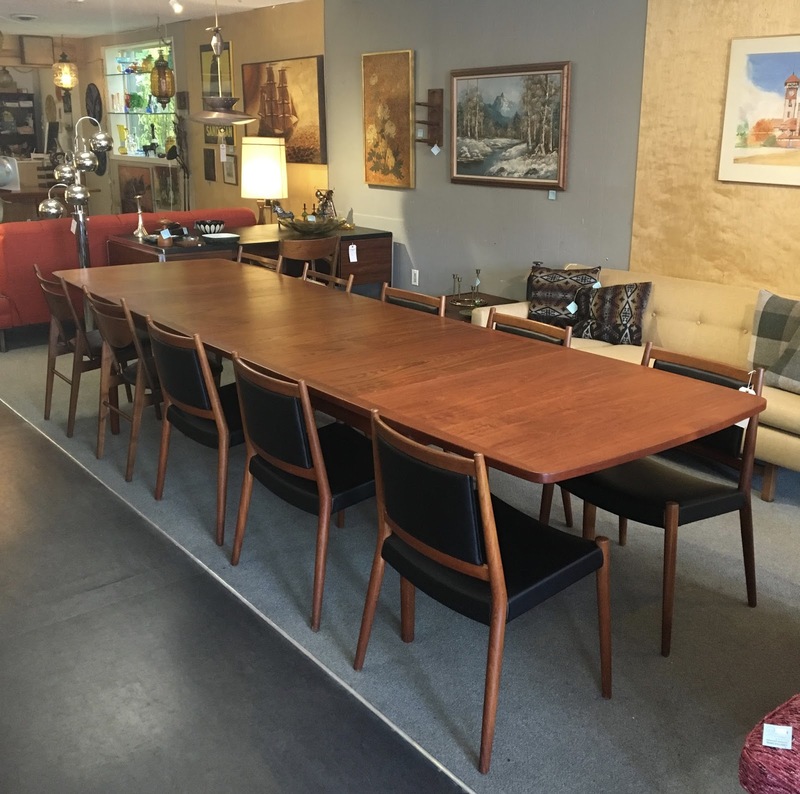 One of my favorite photos from 2017 is this enormous teak dining table with 10 dining chairs. 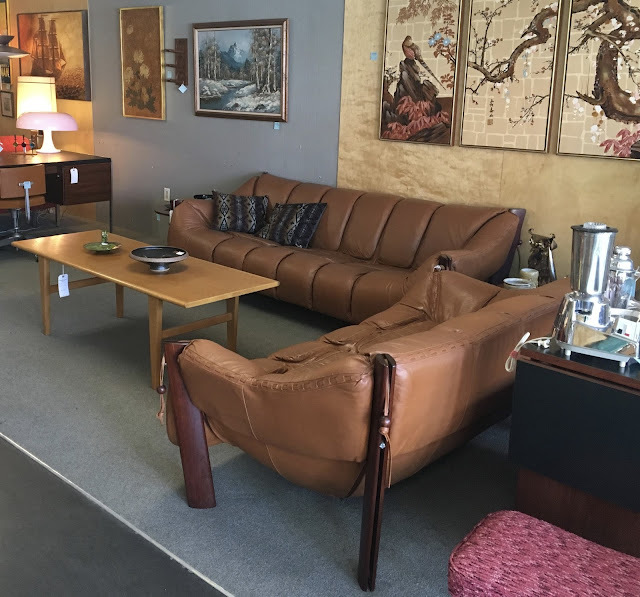 Our most profitable find of 2017 was this set of Percival Lafer sofas. The pair sold for $5000! One of our greatest improvements this year was in the area of wood refinishing. I learned a few new tricks and techniques from a custom cabinet maker. This G Plan Fresco credenza is one of my favorite examples of our refinishing. 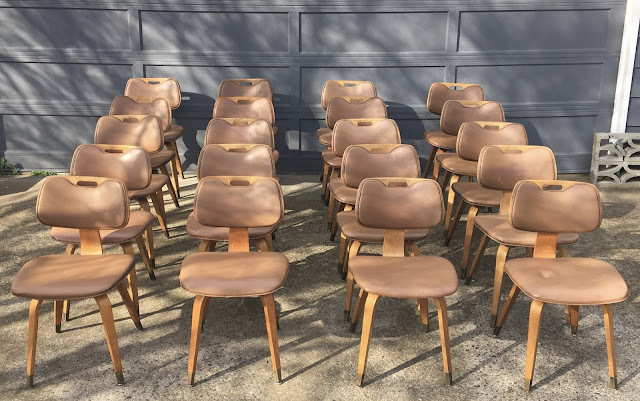 Our biggest one day haul this year was these 20 chairs that I found at an antique market. 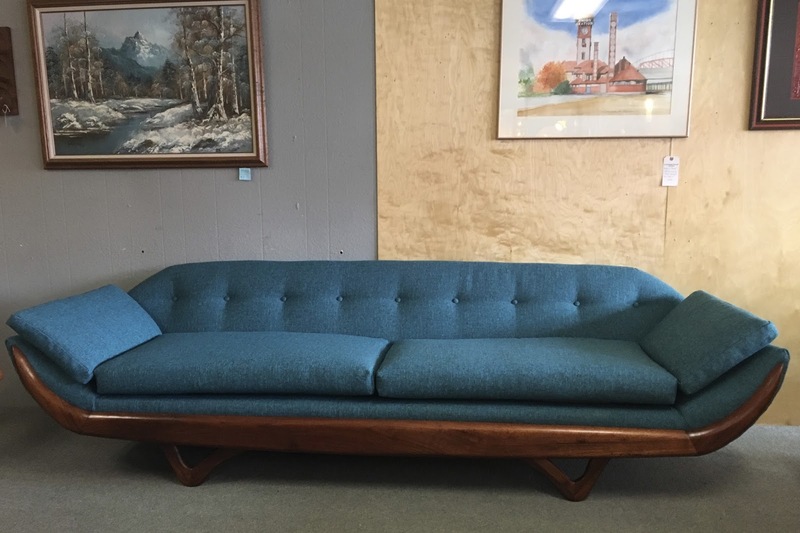 The walnut armed sofa and Pendleton bench pictured were crowd pleasers that sold quickly. My favorite desk that we found this year was this rare rosewood secretary desk by Borge Mogensen for Soborg Mobler. This classic design, Carter Bros scoop chair, is one that I have long wanted but upholster in Pendleton wool. I like how the design gives the cushion a floating effect. One of the most iconic mid century modern designs of all time, womb chair by Eero Saarinen. 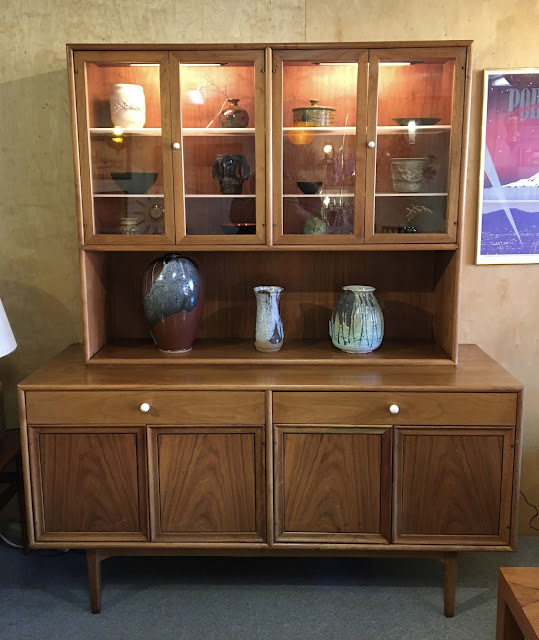 We can never seem to find enough credenzas to meet demand. This one by Jydnsk Mobelfabrik sold before I could get a better picture. 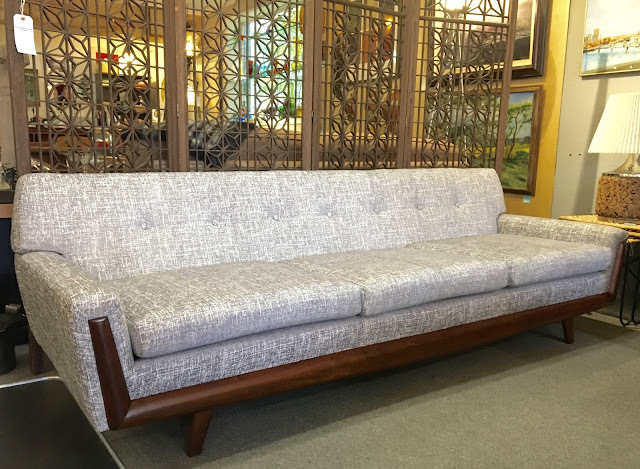 Danish teak frame sofa by Hans Olsen. 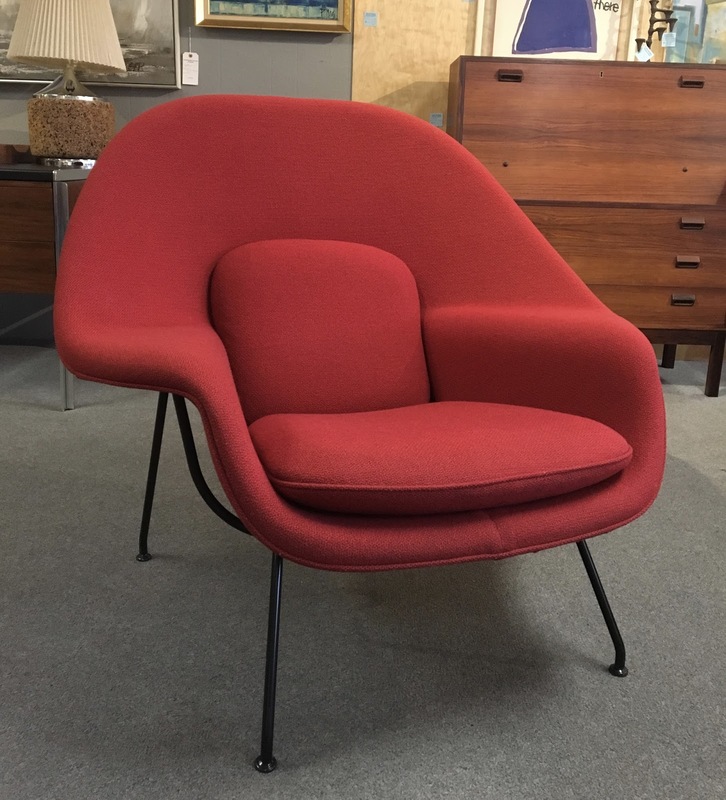 We have had many other Milo Baughman recliners but this is the only chrome one that we have found. A rare design from 1974. 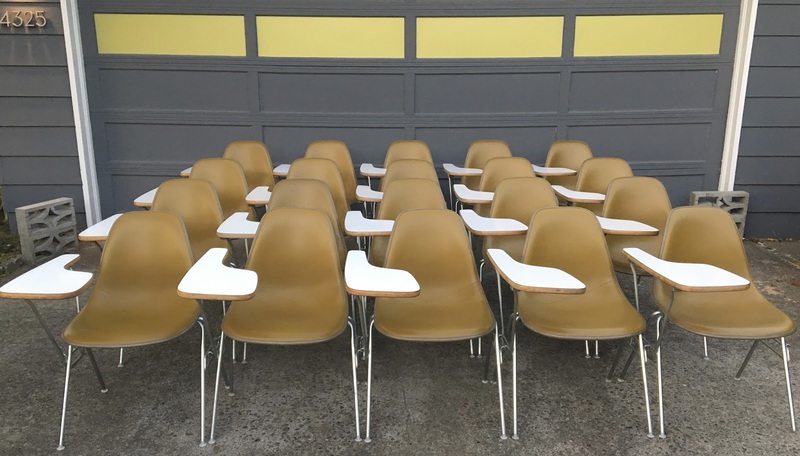 We were amazed to find a set of 20 Eames tablet desk chairs. 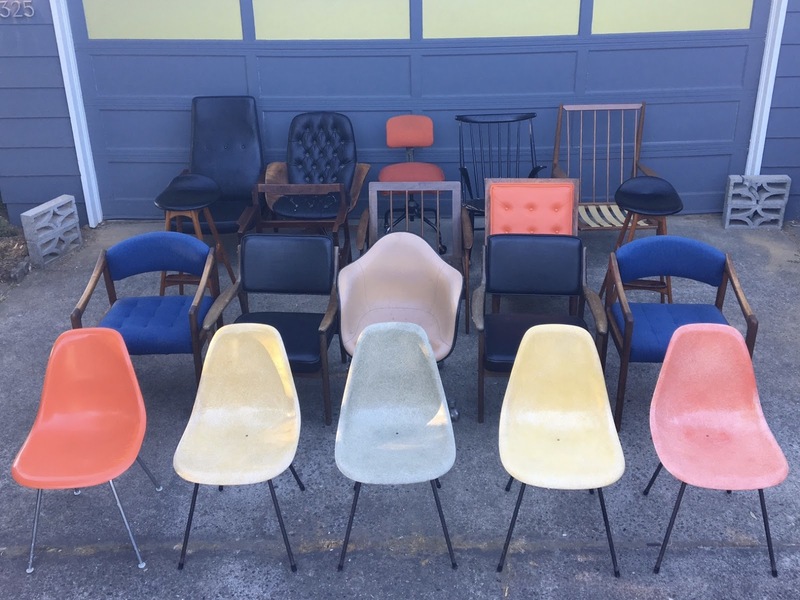 Most have been sold. We love all of our gondola sofas. 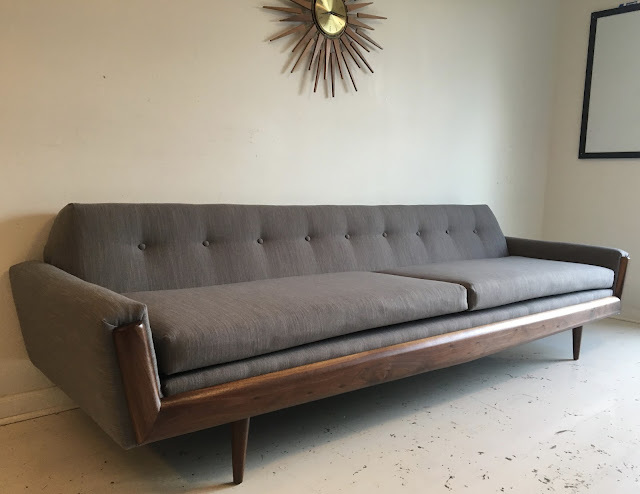 Here is another one that we found and reupholstered. This Danish teak sliding top desk by Lovig is the only Lovig desk we have ever had. Our final upholstery project of the year was this gondola sofa. 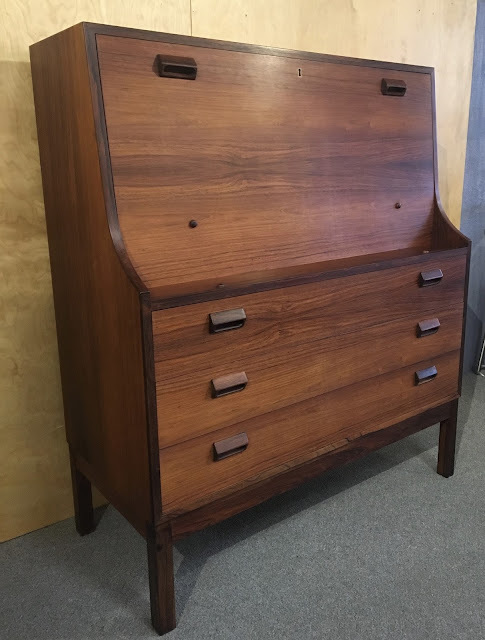 Lastly, a walnut Drexel Declaration hutch by Kipp Stewart.